Following an absence from our screens of over seven years, The Doctor was back, in a new incarnation, with new companions, and a new TARDIS control room. 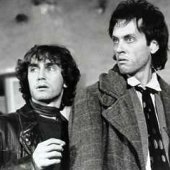 His debut adventure captured all the spirit of The Doctor, as the Eighth Doctor, dazed and confused from his last regeneration, found himself in San Francisco at the turn of the Millennium, locked in a desperate struggle with his old adversary The Master, who wanted to steal The Doctor's body, his TARDIS, and his remaining five lives. Despite The Master's best efforts, The Doctor managed to thwart him once again, before setting off in his TARDIS to continue righting wrongs and saving the universe, beginning the life of the incarnation whose actions would have the second-greatest significance on The Doctor’s future (The First Doctor’s decision to leave Gallifrey in the first place obviously having the greatest impact on The Doctor’s lives). This Doctor was, in many ways, the most human of all his incarnations to date. While other Doctors were often a bit constrained in their emotions, the Eighth was far more expressive, even going so far as to kiss his temporary companion Dr Grace Holloway when he remembered who he was; on one occasion, he was even implied to have fallen in love with eighteenth-century courtesan Scarlette, to the point where she faked her death to ensure that The Doctor wouldn’t be tempted to abandon his travels so that he could stay with her ("The Adventuress of Henrietta Street"). He also seemed far more eager to get involved in history as a whole where his other selves focused on the moment at hand, giving a couple of people useful advice for the future shortly after his regeneration and inviting Mary Shelley to travel with him despite the risk to history simply because he liked her company ("The Silver Turk"), although this approach backfired when he created a temporal paradox by saving someone who had been meant to die in an accident ("Storm Warning"). 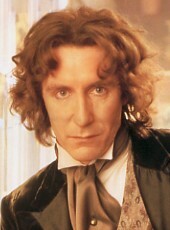 While none of his past selves had ever exactly been selfish, the Eighth Doctor sometimes went out of his way to avoid putting others at risk if something could be achieved on his own, as though trying to make up for his previous incarnation's manipulation of his companions; he even spent some time working on a farm as a form of self-imposed penance ("Totem"), openly expressing disdain of his seventh self’s willingness to sacrifice others for his own agenda ("The Resurrection of Mars"). He was also known for presenting a sense of vulnerability, much like his fifth incarnation, although he was able to counter this vulnerable façade with some skill in hand-to-hand combat when required where the Fifth was more easily overpowered. He also possessed certain flairs for originality, ranging from simple solutions to problems such as threatening to shoot himself to get a motorbike from a policeman to coming up with various technical solutions to defeat his enemies, including reprogramming a robotic brain to emit an energy pulse that would shut down a group of insane telepaths ("The Taint") to disabling a city-destroying bomb by using the nuclear power source to charge up a primitive time machine he’d recently acquired ("Trading Futures"). Unlike many earlier Doctors, he was more prepared to make certain small changes to time for the sake of his friends, such as going back to a time when The Brigadier was eight and lost a balloon to catch the balloon for his future friend, or encouraging a past version of his current companion Samantha Jones to start a political revolution to help her break out of her original purpose of having been created simply to serve as his companion ("Interference Book Two: Hour of the Geek"). As this incarnation began, The Doctor presented himself as possessing a certain endearing vulnerability similar to his fifth incarnation - a similarity made more pronounced by his ‘penchant’ for losing his memory under various circumstances - while retaining his fourth self’s naturally flippant sense of humour in the face of danger combined with his solemn attitude when the situation called for it. He also possessing a strong air of urgency and decisiveness as he quickly identified the problems he faced before working to solve it, although he sometimes found himself resorting to increasingly last-minute measures to achieve victory, such as using fake moonlight to catch the werewolf-like Jax off-guard ("Kursaal"), often wondering if his transition from the ‘master planner’ of his last incarnation to ‘born-again novice’ cost him some of his innate cunning ("The Taint"). Although more emotional than his previous selves - to the extent that he twice kissed his companions on impulse (Grace in "Doctor Who: The Movie" and Anji Kapoor in "Earthworld"), although what this meant for him was never made clear - this Doctor retained a certain distance from his companions, seeming almost unconcerned about the death of companion C’rizz because he had grown used to moving on from people leaving ("Absolution"), although he still regretted the death in his own way. 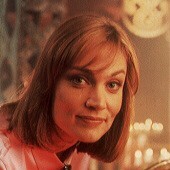 Although his initial companion in this incarnation was schoolgirl Samantha 'Sam' Jones, a teenager from the 1990s, who dived into the TARDIS while escaping drug dealers, The Doctor initially spent very little time with her, leaving her at a Greenpeace rally - for her, it was an hour, but for him, it was three years, during which time he had such temporary companions as Ice Warrior Ssard and human Stacy Townsend ("Placebo Effect"), as well as brother and sister Samson and Gemma Griffin. He also used the opportunity to have one last adventure with Romana and K9 to deal with a loose end that he had forgotten to tie up when Borusa’s attempt to play the Game of Rassilon ("The Five Doctors") prevented the Fourth Doctor from visiting an old friend at a key moment ("Shada"), requiring the Eighth Doctor to go back and do what his fourth self was meant to do before Borusa’s interference. A particularly notable companion at this time was Mary Shelley, whom The Doctor encountered on the night that she was originally inspired to write ‘Frankenstein’, Mary going on to spend some time travelling with him ("The Company of Friends - Mary’s Story"), The Doctor giving into the temptation of travelling with Mary despite the risks to history if she died ("The Silver Turk"), although Mary eventually left out of fear of the death that followed her friend ("Army of Death"). Another notable companion during three-year period was Charley Pollard, a girl who was plucked off the R101 in 1933, and who it was hinted he actually developed feelings for, although their relationship never really progressed beyond the platonic. However, things were complicated by the fact that, since Charley's body had to be found on the R101, The Doctor would eventually have to return her to the ship, or a temporal paradox would be created due to the radical change in history. Despite this knowledge, he still travelled around with her in the hope of finding some way to cheat her fate, enjoying her company and even teaching her some essentials of how to operate the TARDIS ("Seasons of Fear"), until the results of her survival got so out of hand that they threatened the fabric of reality - and even Gallifrey itself - by creating a rift into the universe of anti-time, as destructive to time as anti-matter was to matter ("Neverland"). In a desperate bid, The Doctor materialised the TARDIS around the tear in space, taking the anti-time released in the explosion into himself. 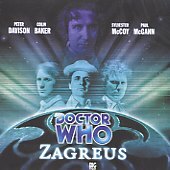 This briefly gave him a second personality, known as 'Zagreus' after an old Gallifreyian nursery rhyme, which the revived Rassilon sought to use as his assassin against the Divergents - the race who would have evolved to surpass the Time Lords before Rassilon trapped them in another dimension - but this personality was eventually purged from The Doctor thanks to the actions of Charley and his old companions Leela and Romana, Rassilon subsequent being exiled to the Divergents’ anti-time universe. Still contaminated by anti-time, The Doctor exiled himself to the anti-time universe to protect his home universe, accompanied by Charley despite his attempts to leave her where she would be safe, the two subsequently acquiring a new companion in the form of the chameleonic former assassin C’rizz ("The Creed of the Kromon"). After spending some time wandering a planet divided into many zones searching for the missing TARDIS, ‘aided’ by the manipulative being known as the Kro’ka, The Doctor was able to recover his ship ("Caerdroia"), later facing Rassilon in a final confrontation which revealed that Rassilon had purged the anti-time from his body when The Doctor had entered this universe. With his infection cured and Rassilon trapped for good in the anti-time universe ("The Next Life"). The Doctor, Charley and C’rizz returned to The Doctor’s home universe, the three travelling together for some time. Following C’rizz’s death ("Absolution") and Charley’s subsequent departure - although a confrontation with the Cybermen left The Doctor’s memory of the exact circumstances of Charley leaving him unclear ("The Girl Who Never Was") - The Doctor finally returned to the rally to pick up Sam, travelling with her for some time after this. During their adventures, they became aware of a great War that would be fought at some point in the future, between the Time Lords and an as-yet-unidentified Enemy, which would result in the creation of sentient TARDISes, certain Time Lords erasing themselves from history to become mere concepts to battle the Enemy - these Time Lords calling themselves the Celestis - while others degenerated into monstrous creatures to blend in with their foes... and the death of the Thirteenth Doctor, killed while trying to make a deal with the Celestis to stop them interfering in a battle on the planet Dronid ("Alien Bodies"). In the process, The Doctor also learned that Sam was not the original Samantha Jones, but her biodata had been manipulated by an outside agency to make her into a distracting, ordinary companion for him. However, their plans had gone wrong; Sam was nothing of the sort, even developing a crush on The Doctor and running away from him for three years in the far future after she realised her feelings after believing The Doctor had died ("Longest Day"). Despite being trapped in a time and place far from Earth ("Seeing I"), Sam proved more than capable of surviving on her own during her time away, although she eventually started to travel with The Doctor once again after rescuing him from a prison because she felt she could do more good with him then she could where she was. While searching for further information about the Future War, The Doctor was forced to deal with a problem of a more personal nature as he attempted to encourage Compassion’s growth into her own person after her departure from the Remote. Despite his best efforts, The Doctor soon recognised his inability to help her develop in his current environment, going so far as to leave her on an Earth colony ("Frontier Worlds") and spend some time in London in 2012 ("The Shadows of Avalon") to try and encourage her to live a life as a normal person. This last visit, however, had serious consequences when The Doctor’s return to pick Compassion up resulted in the TARDIS materialising at the exact location of a dimensional rift, causing the TARDIS to explode and stranding them in 2012. Due to the manipulations of Time Lord agents sent by the newly-regenerated Romana - now in her third incarnation - the receiver linking Compassion to the TARDIS translated the signals from The Doctor’s ship into block transfer computations that mutated her into a sentient TARDIS, Type 102... and the mother of the sentient TARDISes that would be used in the war. The Time Lords, led by the new Romana, attempted to capture Compassion and use her as breeding stock for the War, but The Doctor, refusing to let Compassion become a slave, retreated into her with Fitz. Although he accepted his responsibility for Compassion, the loss of his old home left The Doctor feeling bitter for some time, devoting his energies to new problems more than ever before as though trying to escape facing his own pain ("The Space Age"). Despite some complications such as Compassion objecting to The Doctor’s installation of a Randomiser ("The Fall of Yquatine"), he and Fitz travelled in Compassion for some time, The Doctor helping Compassion explore her new nature while working to keep her safe, until they were drawn back to Gallifrey ("The Ancestor Cell") to confront future versions of Faction Paradox and restore The Doctor's original timeline, kept in the balance by the valiant efforts of the TARDIS, which had rebuilt itself after its apparent destruction on Avalon, and was now desperately trying to contain the reality that should have been within itself. In a final confrontation with Grandfather Paradox, the God of the Faction (And the future self The Doctor would become in the infected timeline), The Doctor resolved the timeline dilemma the only way possible; release the TARDIS's energies through its ancient weapon systems, destroying Gallifrey and the Faction Paradox fleet, but also forcing the TARDIS to ‘choose’ between one reality or the other. The uninfected timeline was chosen, but The Doctor’s entire memory was erased, apparently from the trauma of the event. To give The Doctor time to recover and the TARDIS time to regenerate after the damage it had sustained in the fight, Compassion left The Doctor on Earth in the year 1889, taking Fitz to 2001 to meet him when they were ready before departing herself for parts unknown. Meanwhile, The Doctor, having regained consciousness in a railway carriage, discovered that he had no memory of his real identity, and his only possessions were a small, shapeless box - the TARDIS, shrunk down to that size after its energy was dissipated in the final battle - and a note, saying simply 'Meet me in St. Louis', February 8th 2001. Fitz'. Despite his amnesia, The Doctor still retained a wide general knowledge of all subjects as he investigated various problems on Earth, ranging from a fire elemental ("The Burning") to another confrontation with his old foes the Players ("Endgame"), once unknowingly working with his fourth incarnation’s old companion Harry Sullivan ("Wolfsbane") to defeat a woman who claimed to be the reincarnation of Morgraine Le Fay in 1936. However, he appeared slightly colder at times, showing no hesitation in allowing a man fall to his death after the man helped to unleash an elemental being of pure fire onto the world ("The Burning"), and letting one of his enemy’s guards get shot in his place by knocking the guard out and stealing his uniform, to say nothing of violently attacking a man motivated by nothing more than anger. Despite this, he still was capable of feeling genuine human emotions, even dating a woman he met in the eighties and adopting a young girl called Miranda, a young Time Lady from the future, as his daughter ("Father Time"). Eventually, The Doctor met up with Fitz in 'St Louis' - in this case, the St Louis Bar and Restaurant in London, owned by The Doctor himself, who had created his own St. Louis as he was unsure what St Louis Fitz was referring to in the note. With the aid of new companion Anji Kapoor, The Doctor and Fitz completed the TARDIS's regeneration, dealt with a race of invading aliens called The Kulan, and then began to travel through time and space again. Having regained his ability to travel around the universe, The Doctor, having spent a century with nothing but humans for company, was desperate to meet as many truly alien aliens as he possibly could. Although some of the aliens he encountered were a bit unusual - including one species that exactly resembled the Earth tiger at a cursory glance ("The Year of Intelligent Tigers") - he certainly got his wish regarding meeting something other than humans, tackling everything from mutated humans to water spirits ("The City of the Dead"). Occasionally, he seemed slightly cold, such as in "Eater of Wasps" when he seemed more concerned about damaged plums than a dead man, but he always retained his passion for life in all its forms; even in the above example, when facing down with a ruthless mutant man/wasp hybrid that was trying to convert all humans into its kind, The Doctor kept on appealing to its humanity until the last minute, when he was finally forced to acknowledge that the man it once was had died. Although his amnesia was a bother to him at times, after he spent four years brainwashed by a xenophobic Earth government to act as one of their 'Professionals' - alien soldiers captured and programmed to fight for Earth - The Doctor concluded that the past was best left alone, considering how he still remembered all the terrible things he did as a Professional even after being returned to normal ("Fear Itself"). As a result, he decided to focus on appreciating the possibilities offered by his amnesia, allowing him to reinvent himself and start afresh as he explored the universe, enjoying exploring everything with no real knowledge of aliens to hamper his previous perceptions while always recalling vital scientific knowledge when required, such as when he correctly identified a futuristic camouflage fabric ("Eater of Wasps") or recognised an alien known as a Collector ("The Slow Empire") without having ever been exposed to information about them. However, only a few months after regaining his ship, The Doctor was forced to undergo another radical change; specifically, the loss of his second heart. Apparently, the heart served as his link to Gallifrey, and, with Gallifrey gone, the heart was now turning black and cancerous, pumping poison into The Doctor's system as it tried to bind him to a world that no longer existed (Although it was later implied to be the result of outside agents attempting to control The Doctor). Sabbath, an eighteenth-century secret agent who'd somehow acquired the power of time travel after a visit by mysterious beings from the future, saved The Doctor by cutting out the heart in question ("The Adventuress of Henrietta Street"); however, it turned out he wanted it for himself, as, inserted into Sabbath's chest, the heart gave him the natural time travel powers that had been bred into the Time Lords for millennia. The Doctor, on the other hand, found that the loss of his heart had also caused him to lose some of his extra abilities, such as his respiratory bypass system or his ability to metabolise any toxins injected into him. This new change caused The Doctor to briefly question his abilities, causing him to take the TARDIS into the distant future to see how far it would go for him, but he eventually recognised that he was not defined by what he was physically but what he was as a person, simultaneously reaffirming his bond with humanity and his fondness for their innovation and drive to survive ("Hope"). The loss of his heart, however, did result in one rather interesting practical benefit; since one of The Doctor's hearts was always beating in Sabbath's chest, even if The Doctor was practically crushed, he would survive - without even needing to regenerate - thanks to his new ‘link’ with Sabbath, although Sabbath himself often felt weak when The Doctor was injured. Eventually, after a woman Sabbath loved sacrificed herself to save The Doctor from a malfunctioning time machine, Sabbath tore out The Doctor's second heart, allowing The Doctor to begin growing a new one - this time, presumably, with a link to Earth rather than Gallifrey ("Camera Obscura"). . Shortly after the restoration of his heart, The Doctor found himself locked in a desperate struggle with Sabbath as, along with his mysterious business associates, Sabbath hatched a plan to destroy all alternate realities. Sabbath believed that time travellers like The Doctor, every time they landed somewhere, created an alternate reality where they didn't show up, and that the universe was unable to support so many alternates without suffering damage; therefore, he attempted to trigger a dark matter explosion at Event One - the Big Bang - that would erase all alternate universes and leaving only one possible timeline. However, according to The Doctor - once again displaying access to his own subconscious knowledge of temporal mechanics even if he couldn’t consciously remember learning it - Sabbath's allies had been lying to him, The Doctor knowing that Time didn’t work the way Sabbath believed and realising that Sabbath’s allies sought to restrict Time itself by essentially eliminating the ability to choose. The explosion at Event One was averted when The Doctor managed to divert the dark matter source to 1894 ("Time Zero"), but this resulted in reality starting to 'slide' between histories, each reality fighting to become the dominant one as new worlds and histories appeared every time the TARDIS materialised. Along with new companion Trix MacMillan, The Doctor, Fitz and Anji travelled through the realities, The Doctor being forced to erase at least two of them in order to restore the original reality. During this adventure, The Doctor appeared to become a bit more cold and calculating, sacrificing an innocent man to escape a pocket universe ("Reckless Engineering") and even leaving alternate versions of Fitz and Anji to die in order to preserve continuity ("The Last Resort"); although Anji acknowledged that he did still care about them, The Doctor had to put his compassion aside when faced with danger on such a scale. However, in the end, their sacrifices paid off, allowing The Doctor to stabilise reality long enough to confront Sabbath’s masters ("Sometime Never"); the Council of Eight, mysterious beings who gained power by foreseeing likely future events and then ensuring that they came to pass. The Doctor, as a rogue element existing outside of Time, was the only unpredictable factor in their universe, and was thus the only person who could stop them. Ironically, it was Sabbath himself who gave The Doctor the edge needed to stop the Council; realising that one of the Council members expected Sabbath to shoot him with a weapon designed to send the subject into the Time Vortex, thus fulfilling a prediction he had made to power a weapon that would destroy Earth’s sun before life could evolve, Sabbath instead shot himself, condemning himself to eternal agony just to give The Doctor a chance to outmanoeuvre the Council and save creation from them. With this prediction left unfulfilled, the Council found themselves drained of all their energy, restoring reality to its true state. With time and the universe now safe, The Doctor, Fitz and Trix - Anji having left after the true timeline was stabilised - resumed their original role as simple explorers of the universe, travelling to various planets to see the sights and solve whatever problems they found themselves facing. Exactly what happened from there on in is unknown; available evidence suggests that The Doctor was able to restore Gallifrey and the Time Lords, along with his own memories, before resuming his usual travels. What is known is that, at some point after Gallifrey was restored, The Doctor found himself being ‘assigned’ a new companion in the form of Lucie Miller ("Blood of the Daleks"), a young woman who was mistakenly placed in a Time Lord ‘witness protection program’ (The Time Lords believed that she would become a dictator in the future, but the dictator was later revealed to be another woman who simply attended the same job interview as Lucie). Although their relationship was initially hostile due to The Doctor’s current desire for solitude and Lucie being essentially forced to travel with him, the two developed a teasingly antagonistic relationship with each other over time, with Lucie continuing to travel with The Doctor even after it was revealed that the Time Lords had made a mistake (They had sent Lucie to The Doctor to stop her becoming a dictator in her future, but the actual dictator was a woman who had been applying for the same job as Lucie). After The Doctor spent several years - it was described as centuries, but The Doctor admitted that he adjusted his age for convenience’s sake - trapped on the distant planet Orbis after he was presumed killed in a fight with the resurrected Morbius ("Sisters of the Flame", "The Vengeance of Morbius" and "Orbis"), Lucie proved vital in encouraging The Doctor to resume his travels through time and space when he was content to remain on Orbis, forcing him to recognise that the universe still had need of him, helping The Doctor re-adjust to spending time among humans after so long with only the jellyfish-like Keltans for company. However, his relationship with Lucie soured when she learned that her favourite aunt had been replaced by a Zygon after she died during a trip to Lucie’s past ("The Zygon Who Fell to Earth"), resulting in Lucie briefly leaving The Doctor and travelling with his old enemy, the Meddling Monk, although she quickly returned to The Doctor after realising the Monk’s true agenda. Although Lucie went on to form a relationship with The Doctor’s great -grandson, Alex Campbell, when The Doctor decided to visit his granddaughter Susan once more, the subsequent death of Lucie and Alex during a new Dalek invasion of Earth prompted The Doctor to decide to travel alone once more, blaming himself for the deaths caused by the Monk’s actions ("To the Death"). Although The Doctor found a new sense of hope when he was assigned to protect WW1 nurse Molly O'Sullivan from a Dalek plot that would have seen her being 'conditioned' to power a weapon that could have destroyed Gallifrey ("Dark Eyes"), he continued to travel alone, his initial optimism lost in favour of a darker, more solemn manner after the harsh experiences he had endured in this incarnation. On one occasion he worked against The Master to prevent a Time Lord plan to take control of the mysterious psychic entity known as the Eminence ("Eyes of The Master"), but he was then forced to aid the Daleks in defeating the Eminence afterwards ("The Traitor"), starting a series of moral compromises he would be forced to make at this point in his life. This dark mood became more prominent as The Doctor learned that a new War had begun, this war being waged between the Time Lords and the Daleks across all of time and space, resulting in The Doctor attempting to 'aid' the war merely by rescuing potential victims rather than actually fighting; he apparently even attempted to save Davros when the Dalek creator was seemingly devoured by the Nightmare Child in the first year of the war ("The Stolen Earth/Journey's End"). Despite his good intentions, The Doctor often found his efforts to be limited at best, such as when the history of the planet Drakkis was permanently corrupted into a state of perpetual warfare when a battle in the Time War near the planet disrupted its history, The Doctor powerless to do anything more than prevent a Sontaran invasion of Drakkis and establish a temporary truce between its two warring major cities before he was asked to leave by temporary companion Sarana Teel, who blamed him for the Time Lords' role in what her world had become ("The Sontaran Ordeal"). The Eighth Doctor's role as a conscientious objector came to an end when his attempt to save the pilot of a crashing ship forced him to face how far his people had fallen when the pilot refused to be saved by him, proclaiming that there was now no difference between the Time Lords and the Daleks after the destruction both had inflicted in the crossfire, even sealing herself on the other side of the door to the room leading to the TARDIS despite The Doctor's pleas to let him save her ("The Night of The Doctor"). Badly injured from the crash, to the point where he would have apparently been unable to regenerate on his own, The Doctor was rescued and restored to life by the Sisterhood of Karn and, having been forced to face the scale of the conflict and the need for him to stop it, accepted a potion from the Sisterhood that would allow him to control his regeneration and become a specific type of person in his new life. As a result, he transformed into a new incarnation that disregarded the name of 'The Doctor' in favour of becoming a warrior, his new incarnation - known to fans as the 'War Doctor' - specifically intended to fight in the Time War, abandoning his desire for peace to become the soldier who could save the universe, continuing the Eighth Doctor's tradition of being The Doctor who made the decisions that no other incarnation could have made. Paul was born on 14th of November, 1959 in Surrey, although many believe him to be Liverpool-born. In fact he moved there when he was young. 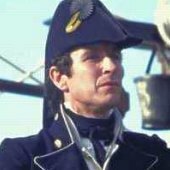 He is one of the four famous McGann brothers - the second oldest. His many film and television appearances include: The Monocled Mutineer (1986), Withnail & I (1987), Empire of the Sun (1987), Afraid of the Dark (1991), Alien³ (1992) and The Merchant of Venice (1992). While filming "The Hanging Gale" in 1996 with his three brothers for the BBC, word was going around that a new, Anglo-American production of Doctor Who was in the pipe-line. At the time, Paul had no idea he was the chosen name by Producer Phillip Segal, who after seeing his performance in Dealers, decide this was to be the new Doctor. At first, Paul turned the role down. Repeatedly! But Segal kept trying and eventually Paul came around to the idea of playing the role he had enjoyed watching as a child. 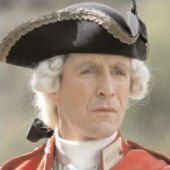 Unfortunately his role as the Eighth Doctor was to be short lived and since Doctor Who Paul has appeared in the four-part BBC drama series Nature Boy and the BBC2 documentary The Secret World of Year 3 both in 2000, various episodes of Hornblower (2001 - 2003) and Kidnapped (2005) His voice can also be heard as voice others in many television documentaries. 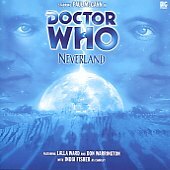 He has also reprised his role as the Eighth Doctor in the Big Finish Productions Doctor Who Audio releases along with actress India Fisher, playing the part of his travelling companion Charley Pollard, and during the series by Conrad Westmaas playing the part of C’rizz. 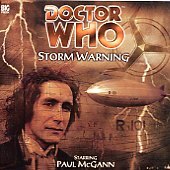 Paul McGann's first Audio story was Storm Warning. 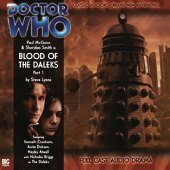 Even though personal not involved Paul McGann's Eighth Doctor continued beyond "Doctor Who: The Movie" as the BBC introduced at the same time a series of on-going Eighth Doctor Novels. Many of the Eighth Doctor's villains were strictly one-time adversaries, such as Caucemar of "Vanishing Point", Silver from "Hope", or Corporal Jacob Hynes in "Genocide". However, he also had several encounters with old fan favourites, such as the Daleks, the Sontarans and the Cybermen, even battling less-seen old adversaries such as the Nimon, the Wirrrn, and the Zygons from the Fourth Doctor's era, as well as another confrontation with the Giant Spiders responsible for his third regeneration. However, even amid all these temporary foes there were some recurring ones, most noticeably Faction Paradox, a cult of time-travelling voodooists who constantly changed history to suit their every whim, and Sabbath, a Victorian time traveller who sought to replace The Doctor as Time's Champion and prevent all alternate realities coming into existence, but eventually died aiding The Doctor to stop the mysterious Council of Eight. A particularly shocking foe was Rassilon, the founder of Time Lord civilisation, who sought to turn The Doctor into his assassin against the race who would have evolved to surpass the Time Lords ("Zagreus"), but this plan was ended when The Doctor trapped him in the universe of anti-time ("The Next Life").